Elizabeth’s one actor/seven character play Bo-Nita closed out its whirlwind Northwest premiere today after its final performance in Portland. See Raves and Standing O’s for Bo-Nita in Portland for reviews. 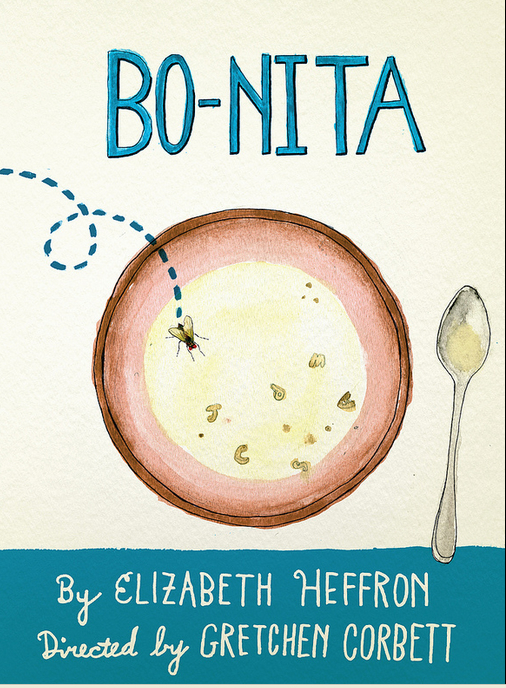 Bo-Nita ran from February 1 – March 16, 2014 at the Ellyn Bye Studio at Portland Center Stage. 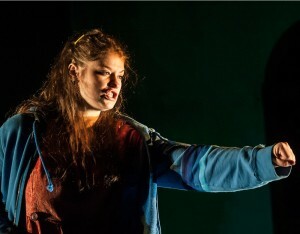 The World Premiere of Bo-Nita at Seattle Rep, October 18 – November 17, 2013, also garnered rave reviews. Up next for Elizabeth: She continues workshopping Portugal, a play that centers around workers at the Hanford nuclear waste site who are exposed to radioactive materials while on the job. Bon-Nita is nearing the end of its run at Ellyn Bye Studio at Portland Center Stage (February 1 – March 16). Directed by Gretchen Corbett. Kate Eastwood Norris plays Bo-Nita and multiple characters. Read the cast and creative team bios. View the playbill. Bo-Nita was developed at the JAW Playwrights Festival in Portland, July, 2012. After a triumphant opening run at Seattle Rep, Bon-Nita comes to the Ellyn Bye Studio at Portland Center Stage, February 1 – March 16, 2014. Previews don’t begin for more than 60 days but four shows are already sold out and several more have a few tickets remaining. See pcs.org/bonita for details and tickets. Portland may have a special affection for Bo-Nita. 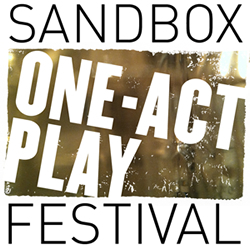 The single actor / many character play was developed at the JAW Playwrights Festival in Portland, July, 2012. Want to keep up with Elizabeth’s readings, performances and theatrical adventures? Subscribe to the blog via email on the right. 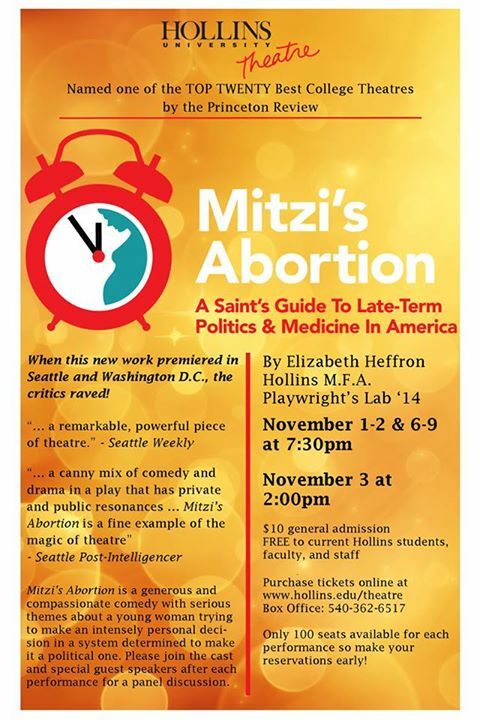 Elizabeth has both coasts covered tonight with a performance of Mitzi’s Abortion at Hollins University Theatre in Roanoke, Virginia (see review) AND a performance of Bo-Nita at Seattle Rep.
Mitzi’s Abortion was produced in New York and Florida in 2011, Washington DC, July 12-25, 2012, and in Minneapolis, October 19-28, 2012. See reviews. 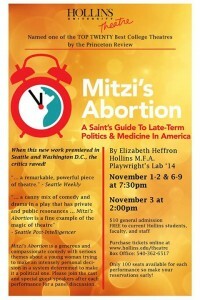 Mitzi’s Abortion, received ACT Theatre’s (Seattle) New Play Award in 2005, and had its world premiere at ACT in 2006. 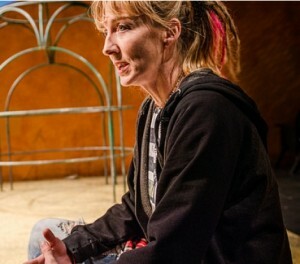 Bo-Nita plays at Seattle Rep until November 17 (see reviews) and then moves to a run at Portland Center Stage, February 1, 2014. Beguiling, shattering, poignant … The reviews are in for Elizabeth’s Bo-Nita, now through November 17 at the Seattle Rep.
“Elizabeth Heffron is one of the friendliest playwrights you’ll ever meet. She laughs easily; and when she listens, it’s usually with the attentive, sensitive smile of an experienced mom. Pretty, relaxed, and engaged, she doesn’t seem in any way a troublemaker. But that’s only true if you haven’t seen her plays. “That’s what I was told by a literary manager I met at Hedgebrook,” she says, remembering a recent encounter at the Whidbey Island writers’ colony. 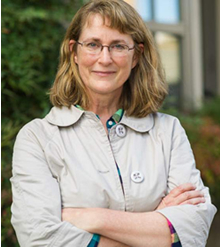 “After we read one of my plays, she just looked at me and said, ‘But you seem like such a nice lady.’ ” Read the rest of the story: Seattle Weekly Fall Arts: Elizabeth Heffron. 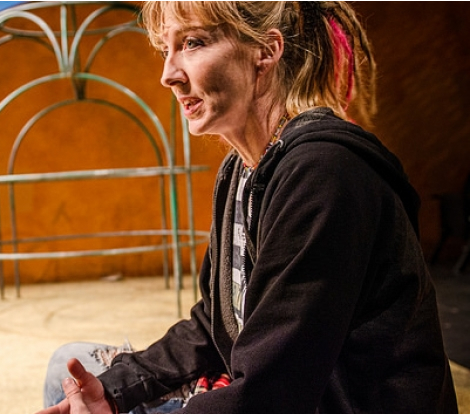 Why a local playwright wants us to consider a rigged economic system. Tickets are now on sale for the World Premiere of Elizabeth’s Bo-Nita at Seattle Rep. Previews begin Friday, October 18. The play runs through Sunday, November 17. Life’s not easy for Bo-Nita. 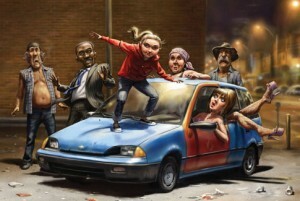 It never is for a 13-year-old, but especially one who winds up with a dead, semi-ex-stepfather on her bedroom floor. With humor, pathos, and a dash of Midwest magic realism, Bo-Nita follows the resourceful exploits of a working class mother-daughter duo determined to stay together—and out of jail. Elizabeth Heffron is a local playwright and alumna of the Rep’s Writers Group. Under her skillful hand, Bo-Nita, is a theatrical coming-of-age tale that is both hilarious and heartbreaking. (Portugal) is about a pair of tank farm workers, a young couple, and what happens when one of them gets “dosed” by radioactive waste at the Hanford Nuclear Reservation over in eastern Washington. How the company responds. How their family and co-workers respond—and ultimately how this accident changes both of them. The problems over there are so overwhelming and seemingly intractable, and yet people keep doing what they can to try and clean the place up, even in the face of massive technical problems and corporate corruption. I am drawn to this combination of both despair and hope. Elizabeth’s new radioactive drama, ‘Portugal’, is at Seattle Rep, Friday, June 14, 7:30 PM: A ‘minor’ industrial accident on the tank farm at the Hanford Nuclear Reservation in Eastern Washington changes the lives of four workers forever. Directed by Anita Montgomery. This is the first reading of the full length work-in-progress. Talkback after the reading. Tickets are free but reservations are strongly encouraged. Call the Seattle Rep Box Office at 206-443-2222. This is a presentation of the Seattle Rep Writers Group.